I would love to see a better way to categorize the media library. I know there are some plugins that do this, but I have found them lacking. This is something that if designed to be user friendly, could provide a great service to someone like myself that has tens of thousands of images in the library. – Jeff Bilbrey of Detroit Sports Nation. I would love a way to better organize pages. Possibly a feature to collapse them by category. The media library could use some serious organizing in the back end too…. – Giesele Greiner of Art Place. I think at the moment one little bugbear is working with images and social media, especially when it comes to resizing them. I’m aware I could pay for Canva and they will resize my images for me but then there is all the moving around of these files, but it would be really beneficial if there was a way to auto resize images within WordPress itself – Susan Pearson of Living Creatively with Fibro. So seeing that the media library gives you some headaches, we thought it would be a good idea to talk about some of its limitations and discuss some plugins that can help you get the most out of it. Let’s start with the basics: I understand that you know how to add images to posts or pages. If you already control the basics about images, you will know that the media library is where we find all the objects or files (images, audio, video, or documents) that we have uploaded to WordPress. 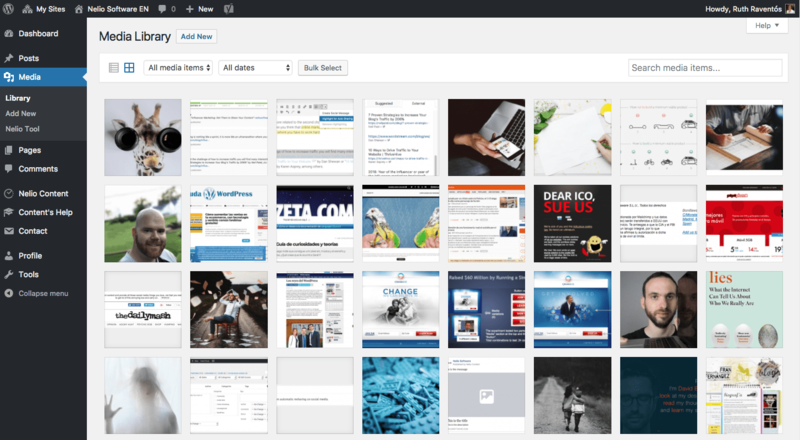 Screenshot of the WordPress Media Library. Objects in the media library can be displayed as a grid, as in the previous image, or as a list. If you choose to display the items in list form, you have the option of selecting how many items are displayed in the list from Screen Options. Display options for Media Library elements. Filter by file type in the Media Library. Filter by Date in the Media Library. As you can see, the functionality that WordPress offers you by default to manage the library is quite limited. What other options do we have? As always, the solution is to add a plugin that makes your work easier. Let’s look at some of them and what functionalities they bring to the library. As previously shown, WordPress by default does not allow us to have any sorting of images uploaded to the Library beyond file type or date filters. The Media Library Categories plugin adds the categories of the posts to the media menu, so that images can also have a category associated with them and, hence, a new filter you can use. In addition, you can also select a set of images and assign them one category at a time. This plugin lets you create folders in the Media Library to keep your images organized. First of all, when you install it, there is already created one folder per year and one subfolder per month, where you will find all the images you had previously uploaded to the library. This is because WordPress by default organizes your files in this way physically on your server. Then, you may create the folders you need and copy the images you want. Please note that the free version of this plugin is a bit limited. The Pro version allows you to organize folders by category, support for WordPress multisite, or add images to a gallery of WooCommerce products, among others. This plugin not only allows you to add categories to the images, but it also includes a creator of custom taxonomies that can be hierarchical (such as categories) or not (such as tags). Another interesting feature is that it allows you to limit the type of files uploaded to the Media Library (MIME Types). As you probably know, when you upload an image to the media library, WordPress generates multiple thumbnails of said image. 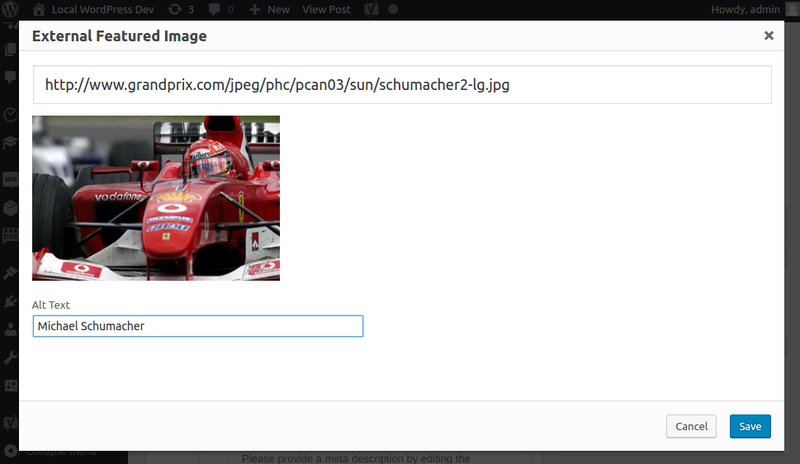 In other words, it is saves the same image in different sizes, each of which will be used by your theme when required. This is done to improve page loading speed, because small images take up less and load much faster. This plugin is a new development based on the previous version of Regenerate Thumbnails. And what it does is to erase the old thumbnails and recreate them. If you change your theme, don’t forget to install this plugin and regenerate all your thumbnails to match the new theme’s image requirements! As we’ve already told you several times, the size of your images does matter. Remember that images are usually one of the bottlenecks of your website. I’m sure you’ve landed on websites whose images take a long time to load. Choosing high quality images is important, but reducing their weight and dimensions to reasonable dimensions is more important. Imsanity automatically resizes photos that are uploaded to the media library or that are already uploaded but exceed the indicated size. Alternatively, if you’d rather be the one who limits the size of the images when uploading them to the library, David tells you how you can do it without looking for a plugin. This plugin adds many features to your WordPress so you can better manage your images. It includes an advanced gallery shortcode [mla_gallery] (compatible with [gallery] that comes by default in WordPress) that allows you to add not only an image gallery but also galleries of other multimedia files to your posts. Moreover, it includes style and branding templates that allow you to change the look of your galleries. The plugin also introduces taxonomies too and improves media search by filtering by slug, alternate text, and caption. The plugin also tells you where each media file is used on your site and gives you information about file size and image dimensions. And many other functionalities such as metadata support, multi-language plugin support, etc. The plugin scans the entire library, selects the media files that are not being used on your website and moves them in an internal trash temporarily for you to make sure the files aren’t actually in used—once checked, you can trash them permanently. This feature can be very useful to clean your website. And finally, I couldn’t finish this post without mentioning what features Nelio Content gives you in terms of image management. One of the problems you encounter in the media library is that if you upload a lot of images, your WordPress is getting heavier and heavier. In addition, each time you upload an image, not only the image you have just uploaded is saved, but also several thumbnails of your image are generated. For this reason, the media library allows you to insert images from a URL and thus not upload them directly from your server. By adding an object to the library, you can insert it from a URL. Thus, it is not physically loaded into the library. With Nelio Content we wanted to improve this WordPress proposal. But first, let me remind you that Nelio Content is a plugin with the aim of being much more efficient in creating and promoting the contents of your website. It includes an editorial calendar, allows you to automatically create all the messages on social networks from the content, helps you write high-quality posts, and gives you the right analytics to understand what content is working best for you. And as far as images are concerned, it also adds the following features so you can include high-quality images in your posts. There are many image sources where you’ll find very cool images for free. Our favorite site is Unsplash. So why not take them directly from there quickly and easily? 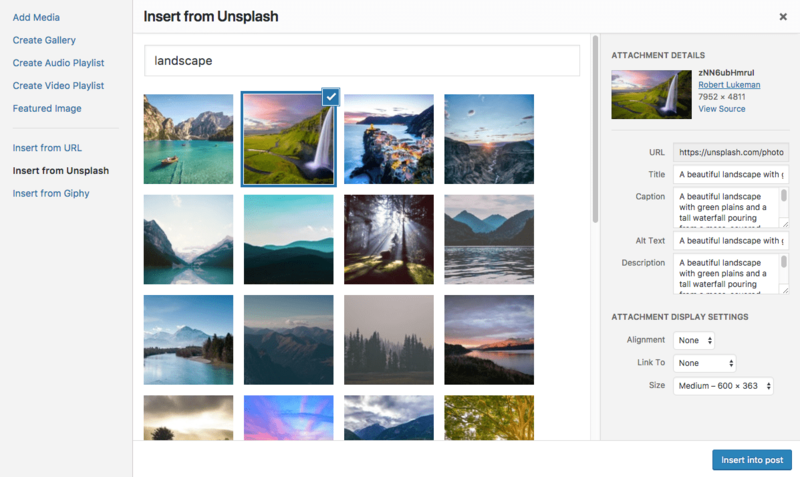 Nelio Content added an option to upload images directly from Unsplash. With Nelio Content you can at the library directly insert an image from Unsplash. 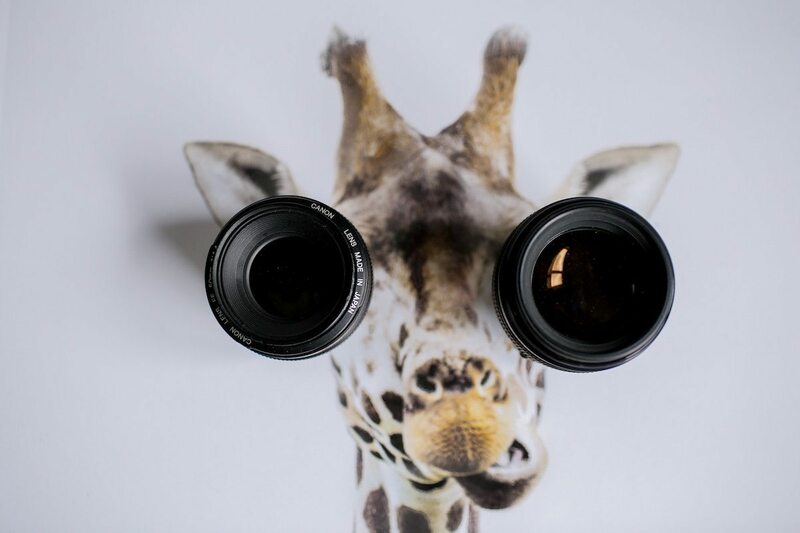 Search and select the Unsplash image you want to insert in your post. After you select a photo, all its related field (i.e. title, caption, alt text, and description) are automatically retrieved from Unsplash and set without your doing anything. The plugin even adds an attribution link! A beautiful landscape with green plains and a tall waterfall pouring from a moss-covered rock face. Photo by Robert Lukeman on Unsplash. Of course, you can modify that information. 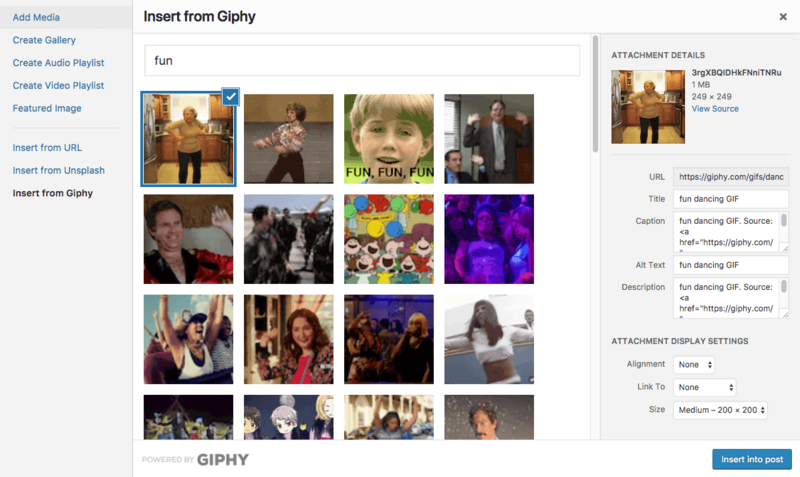 If you’re one of those who likes to add a little humor to your posts, you’ll like to know that we’ve incorporated the same functionality with Giphy, the largest animated gifs library on the Internet. If you want to insert giphys into your posts without leaving WordPress, you can do it with Nelio Content. 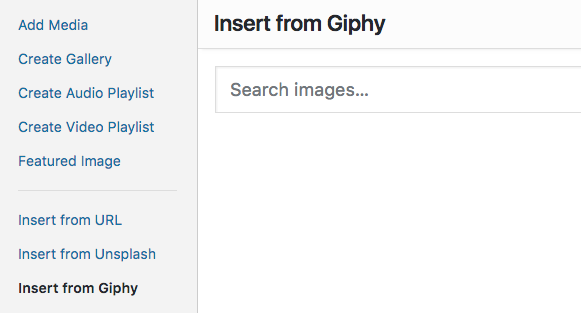 Search and select the giphy you want to add to your post and that’s it. They look having fun dancing, don’t they? Source: Giphy. Featured Images have to be images from your media library. Why? Because images in the media library can be scaled and cropped according to the theme’s requirements (remember the thumbnails?). Therefore, you can’t set the Featured Image of a post by simply using its URL… Or can you? In Nelio we set ourselves the challenge of being able to insert featured images from a URL and, as it could not be otherwise, Nelio Content now includes this option! Nelio Content modifies the Featured Image box adding two separate actions: either you set a featured image from the media library or you set it from an external URL. With a click on the External button, you can now incorporate that featured image without having to upload it to the media library. Dialog for setting an external URL as the featured image of a post. And don’t worry, the problem of thumbnail generation has also been solved so that your theme shows that image in different sizes, as David explains. Which plugins do you use and think we should also mention? We would love to hear your preferences in the comments! Featured image courtesy of Smart Photography Course. I was interested in optimizing your image, and your post has helped me a lot. Thank you. This is a great list, thanks for taking the time to put it together. Another plugin that might be worth considering as well is Wicked Folders Pro (full disclosure, I am one of the developers) which lets you organize/categorize the media library using folders. Thanks Vinny for your contribution!